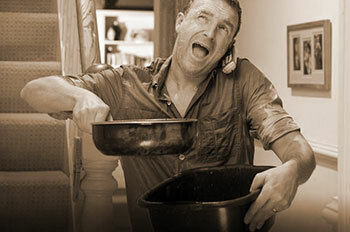 Mr. Mike's Plumbing is a genuine 24/7 Emergency plumbing Calgary service. We service all areas and have extensively equipped vans, so no matter how big or small your plumbing problem, it’s as good as fixed! Call us now! When you call us, day or night you are linked directly to an experienced and skilled plumbing specialist, not a call centre or administrator with no experience in the field. You speak to a plumbing expert from the word go so not only is your plumber at your door quicker, but you receive the best advice for your situation over the phone before the plumber even arrives! This could save you thousands of dollars in damage to your home! Imagine if you stopped that water flooding your lounge all together just by talking to the right person the moment you heard that strange noise in your walls! So call now, even if you’re unsure if your problem is an emergency. Speak to someone who can give you the right advice now! If your problem isn’t an emergency our plumber will organize to visit you during office hours, so you’ll save on unnecessary emergency plumbing rates! Remember, many companies claim to offer an emergency service but don’t answer when you call or leave you on hold with their call centre while they call around searching for a plumber, this wastes precious time and money! So ask us for a business card or magnet and add our number (403) 520-2040 to your emergency services list for next time! You never know when your next emergency might arise! Every Calgary family's home is unique and so are their drain and plumbing service needs. That is why we tailor our services to your individual home and business. You tell us what you want and we will do our very best to meet your needs. While Mr. Mike's Plumbing treats your home with individual attention, our customers often find that we offer more reliability and peace of mind than they have ever experienced from a plumbing company. 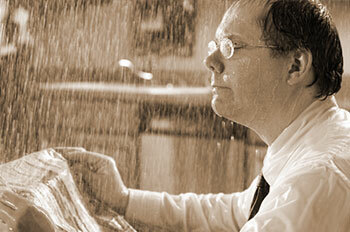 Our professionals provide the highest quality plumbing. Mr. Mike's plumbing works hard to earn your trust and confidence with every visit. Residential Plumbing Calgary Services: These include all types of pipe cleaning, both interior and lateral to sewer; repairs and installations of faucets, toilets, sinks and tubs; services for waterlines, kitchens, bathrooms , dishwasher repair, new installation and laundry including new installation; along with all other plumbing-related jobs. Of course, there is also exterior work available, such as hose bibs, water conditioning units, pools and waterproofing. Commercial Plumbing Calgary Services: In addition to those services listed above, we also cover needs specific to the commercial sector. Such services include the detection and video inspection of lines and leaks underground, protection from back flow, water jetting (high pressure), replacement and repair of damaged and/or rusted pipes, removal and safe disposal of liquid waste, as well as the installation, cleaning, and replacement of grease traps. Drain Cleaning Service: This includes all types of commercial and residential drain installation, repair, replacement and cleaning. We also provide cleaning and maintenance for sewers. 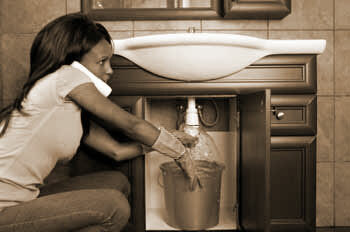 Our certified plumbers are experts when dealing with emergency situations, you are safe in our hands! What Can You Expect as a Mr. Mike's Customer?